SO pretty! I love the floral background with this photo of you! Those little journal strips with your goals are just perfect tucked in behind that paper element. Amazing page! Oh this is so pretty, love that floral bg and the composition and layers are perfect. Great little goals too!!! I love your choice of the floral background!! The strips of paper in the background and the labels with your resolutions are fantastic. I love all of your layering on this page! I love the busy background and depth that you created with the shadowing of this page! Great goals! 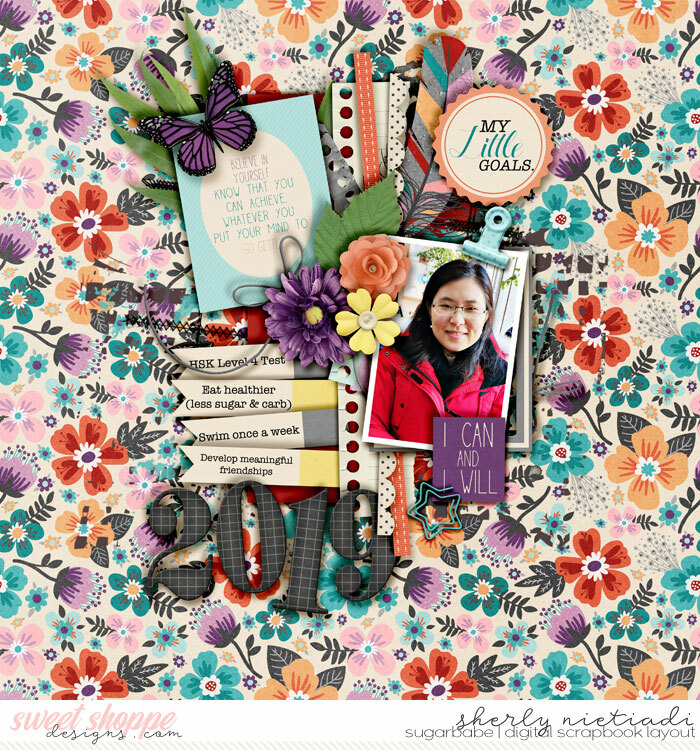 I love the floral background and your design! i adore every little detail, S ♥ !! the goals seem do-able too, love it!